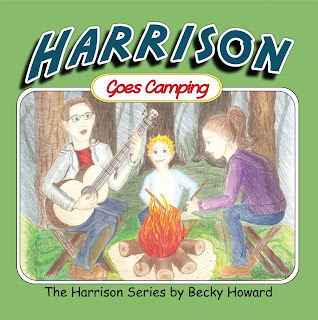 The Harrison Series is a children's adventure series about a boy and his interactions with his family and friends. When life throws you lemons, make lemonade? That is all well and good but sometimes life throws you a curve, right out of left field. On January 10th, my dear friend, and editor of my books, Margherita Pine, passed from our presence and into the Lord's presence. I have been saddened by my loss of her friendship, encouragement, and the daily phone calls to check on my writing. It was almost 20 years ago, I was taking a class and this lovely women sat down beside me and introduced herself. She was originally from Oklahoma, as was my mother, so we had an immediate connection. We became friends and over time, best friends. I never dreamed I would become a writer. Nor, had I known she was an editor. When I began my writing career in 2009, she mentioned that she would love to edit my books for me. I was stunned. We had never really talked about that side of her life. Looking back, I realize how God put her into my life and me in hers. We had so many things in common. Now, she is gone and there is a huge void in my life. I think of her everyday and the blessing she was to me. She will be missed by so many. Two days before she died she called to ask me if I would be getting back to my writing soon. I said yes and she made me promise not to stop. Sometimes, God prepares those with their final tasks here on earth. I was hers. I will soon start the illustrations on book #3 of The Harrison Series, it was the last book she edited for me and it seems only fitting to get back to it, for her. Pray for me as I go through the grief of losing her and writing with out her wonderful encouragement. Book two of The Harrison Series is off to a great start. Did a book reading with Mrs. Pa'gan's first grade class and had so much fun. The children really loved this book and the scary parts. In book two Harrison Goes Camping, Harrison learns a valuable lesson about the importance of obedience. His actions cause a serious event on their camping trip and Harrison was very sorry. I was able to spend time with the real Harrison this past week end. It was an active week-end as it often is. Watching him grow up is bittersweet though. Of course, we all want our children and grandchildren to grow up, that is the normal path. But we also want to enjoy them, in their small state, as long as possible too. The first book I wrote was about Harrison entering a soap box race. This week end he entered his first Pinewood Derby Race with his Cub Scout Troop. As I watched him racing his car I thought back to the book and the little two year old boy with curls all over his head. I remember the first time I told him that story and how excited he was to hear a story about himself. Now, I was watching that story unfold before me in a similar way. This time it was a Pinewood Derby rather than a Soap Box Race. His father helped him this time and not his grandfather. He was much older now not the toddler I once told the story to. But the look on his face was the same and the excitement of the race was the same. He was in the real race this time, experiencing the tension, and excitement, and a crowd cheering him on. He did not win the race as he did in the book but he came in third place for his troop. He won a big trophy just like he did in the book. This one was real, one you could hold in your hand and display in your room. I was so proud of him and although I had nothing to do with this event I couldn't help but feel I had something to do with the courage and excitement that he felt when he entered this race and stood to receive his trophy. I was honored to watch him win his trophy and I am so blessed to be "his Gabbe". Well, it is finally here....Harrison Goes Camping. This book is the second adventure in The Harrison Series. 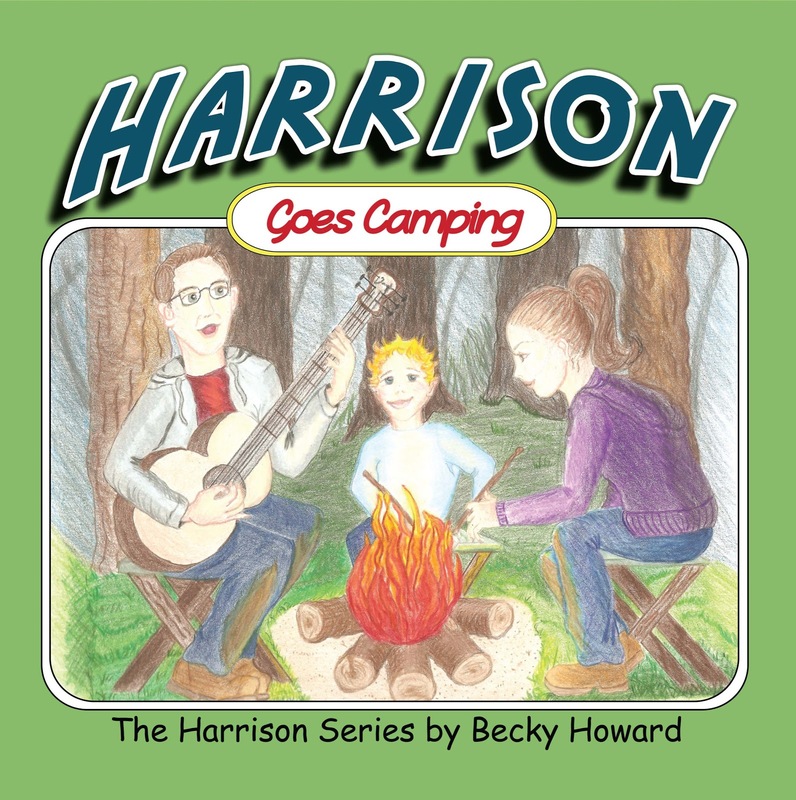 His love of camping and hiking takes Harrison into the forest for fun and excitement. The hike to the waterfall is the highlight of the day or is it? Join Harrison on this exciting adventure and see what happens. Do they enjoy the camp out? Or does an unexpected visitor make the night scary? Don't forget to start your collection of The Harrison Series with book #1, Harrison Enters the Soap Box Derby. Book #2 will be out soon and you won't want to miss it. Formerly a Corporate Consultant turned Author. I enjoy reading, writing, and drawing.